We are committed to building a people who will passionately love God. Jesus said, “Love the Lord your God with all your heart and with all your soul and with all your mind and with all your strength” (Mark 12:30). Our aim is to invite people into a personal relationship with God, teach them to love Him and integrate them into the family of God. We are committed to building a people who will compassionately serve one another. Jesus said, “Love your neighbor as yourself” (Mark 12:31). Our aim is to build up, encourage, support and meet the needs of each other in the church family. This is best accomplished through small group communities called Life Groups. Many other ministries are also developed to accomplish this purpose. We are committed to building a people who will purposefully impact our world for Christ. Jesus said, “Go and make disciples (followers) of all nations” (Matthew 28:19). Our aim is to teach and train all members to impact their world and beyond. In one God revealed to us as Father, Son, and Holy Spirit. In God the Father, who made the heavens and the earth and governs them according to His will and purpose. In God the Son, who was conceived by the Holy Spirit, born of a virgin, died on a cross, was buried and raised from the dead in order to provide the way for us to be brought back into relationship with God. In God the Holy Spirit, who prompts us to repent and live according to the principles of the Kingdom, producing the fruit and imparting the gifts of the Spirit for successful living and serving. In the church universal, made up of all those who have been called out of darkness into light, have placed their faith in Jesus for salvation, and who live under His Lordship. In the Bible, as the only written Word of God and the ultimate authority for what we are to believe and for the way we are to live. In the visible return of the Lord Jesus Christ in great glory and power to receive into heaven all those who have personally accepted Jesus as Savior and Lord. The Bible is God’s Word. It outlines the standard by which our attitudes and behavior is to be measured. The challenge is to always bring our lives up to the standard of Truth and not adjust the standard of Truth to line up with our lives. The pastoral staff serves as the overseers of the local church. In addition to giving spiritual oversight, they are responsible to train and equip the people (adults, youth & children) to do the work of the ministry according to the gifting and power of the Holy Spirit. The church is a place to belong. It is like an extended family where each member is responsible to and for other members in accountable relationships. Members of the church care for and serve one another in an atmosphere of love, acceptance and forgiveness and live their lives together in both small and large group settings. Lives are transformed by the renewing of our minds. More than simply knowing about God and the Bible, we must personally know him in an intimate, transparent relationship where we experience forgiveness of sin, freedom from past hurts and healing of brokenness in our lives through the life changing power of the Spirit. Through worship we bless God and minister to Him. We praise and worship Him for who He is through singing and the spoken word. The tithe (10%) is the foundation of biblical giving and is given and used in the local church. Faith Promise giving for missions, sacrificial giving for facilities and compassion giving for the needy are given above and beyond the tithe. While the tithe (10%) is given out of obedience to God, offerings above and beyond the tithe are optional and are to be given according to ability and desire. Prayer is not preparation for the work of the church it is the work. In prayer we discover and are led to accomplish the purpose of God in our life, family, church, community, nation and world. Prayer moves us outward rather than inward. Extending the Kingdom of God both at home and around the world must be at the forefront of our minds in every decision we make. Pastor Glenn and Kara have been serving with Cornerstone Church and Ministries since 2003. They have three beautiful and very active children. Pastor Glenn has a Bible degree from Cornerstone Bible Institute and was ordained in April 2013 by the Heartlink Network. 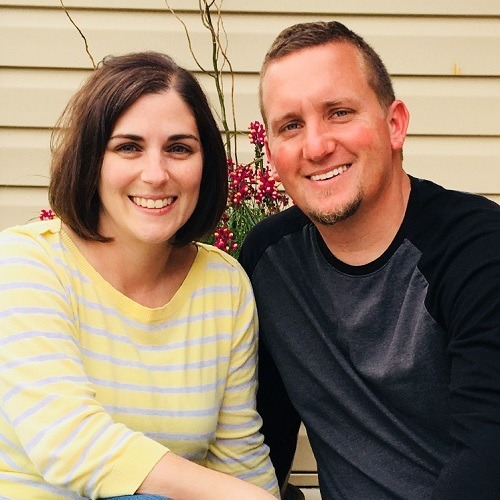 With the blessing and covering of Cornerstone Church of Augusta and Heartlink Network, Pastor Glenn and Kara have begun the adventure of starting a church in the Fort Defiance, VA area. On October 10th, 2013, Pastor Glenn and Kara, along with a core group of amazing families and friends, officially began meeting as LIFE Christian Fellowship. Pastor Glenn enjoys the outdoors and loves sports. Kara enjoys gardening and spending time with their family.